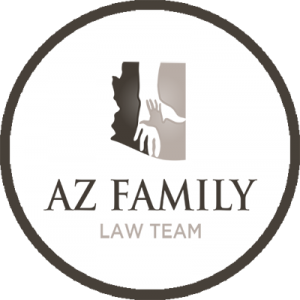 Alimony in Arizona: How is it Calculated? When you get divorced, you need to divide your assets. You also have to divide the liabilities. In an ideal world, the two parties would divide everything evenly and go their separate ways. However, it is never that simple. There are a lot of reasons for this. Sometimes one party earned twice or three times the other party. Or one spouse brought a house into the marriage. The hardest part about getting a divorce can be figuring out how to divide the assets. One part of property division is alimony. When a couple gets divorced, one party may be entitled to alimony. Alimony is an amount of money that one party needs to pay the other every month. Alimony is paid for a certain period of time. There are unique cases where alimony is paid for life, but this is very rare. Alimony is not a guarantee. Not every divorce will result in alimony. In short term marriages, for example, alimony usually isn’t awarded. For example, if you’re married for two or three years, no court is going to award you alimony. If you have been married for over five years, however, you may be entitled to alimony. If one spouse earns much more than the other, alimony may be awarded. The goal of alimony is to make sure both parties can live a life close to what they enjoyed while married. The courts don’t want to see one party living on the streets and the other living in a mansion. However, they don’t want to use alimony as a way of punishing one party over the other. 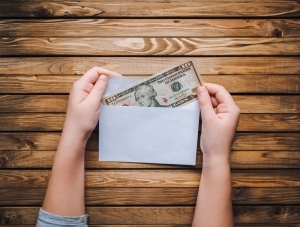 Click here for more information on spousal support in Arizona. How Long is Alimony Paid? When you sign your divorce agreement, it will state how long you are to receive alimony. Usually, alimony is short term. You may be entitled to alimony for a few years just until you get back into the workforce. Or, it may be long term if it is determined that your earning capacity is very low. Many parties decide to use other assets to offset alimony. For example, take a case where one spouse is entitled to $1,000 a month in alimony for three years. This is approximately $30,000 without accounting for inflation, etc. Rather than pay alimony for three years, one spouse may agree to pay $36,000 at the time of the divorce. This does a few things. It is a way to make a clean break with your ex-spouse. It also can be economically beneficial. One party gets a lump sum for a little bit less, but can invest it and earn interest. They will also have a lump sum to use to put down on a house or pay bills. If you are getting divorced, you are going to need a lawyer. Contact an experienced divorce lawyer today to discuss your case. Your spouse is going to have a lawyer on their side. You are going to want one by your side as well.